DAKAR, Senegal — The second-largest Ebola outbreak in history has spread to a major city in eastern Congo, as health experts worry whether the stock of an experimental vaccine will stand up to the demands of an epidemic with no end in sight. Butembo, with more than 1 million residents, is now reporting cases of the deadly hemorrhagic fever. This outbreak is second only to the devastating West Africa one that killed more than 11,300 people a few years ago. Congo’s health ministry reports 471 Ebola cases, including 225 confirmed deaths. 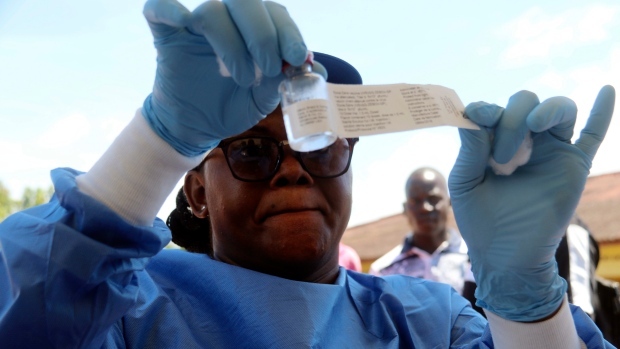 Without the teams that have vaccinated more than 41,000 people so far, this outbreak could have already seen more than 10,000 Ebola cases, the health ministry says. This is by far the largest deployment of the promising but still experimental Ebola vaccine.